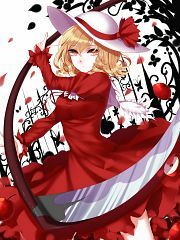 62 anime images in gallery. 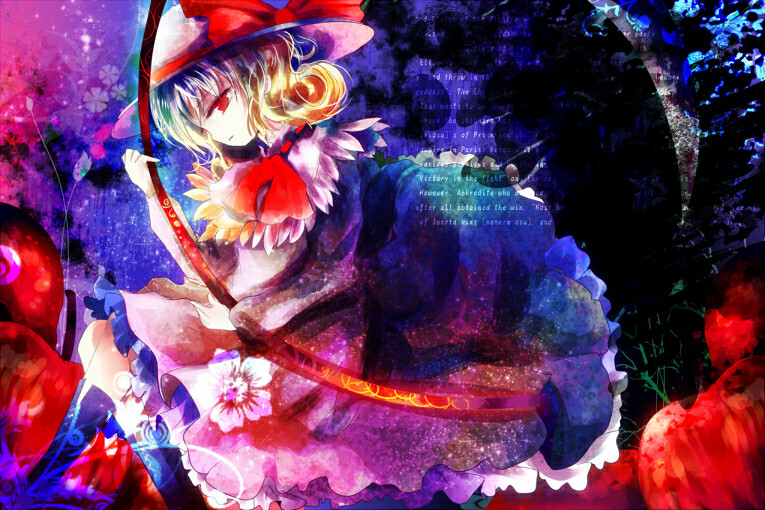 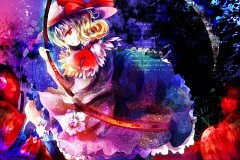 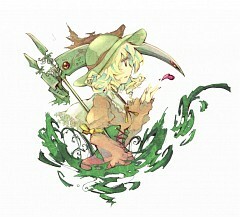 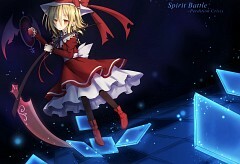 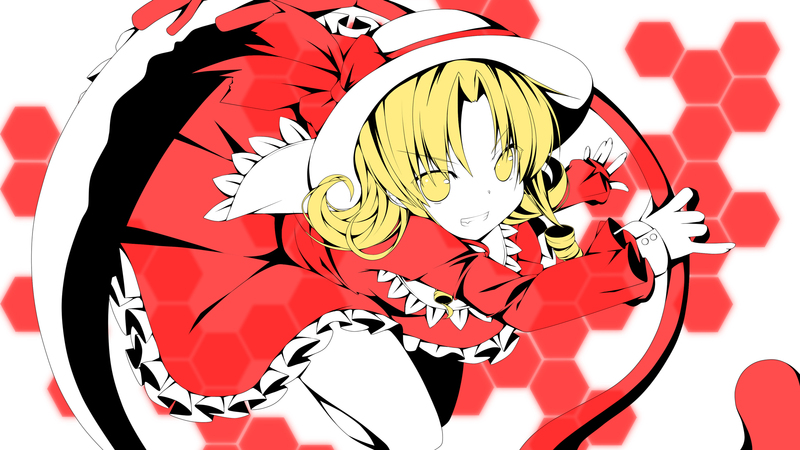 Tagged under Touhou, PC-98 Touhou Era and Lotus Land Story. 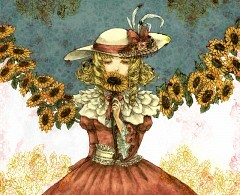 Yellow eyes, yellow hair, wears a pink hat with a red ribbon. 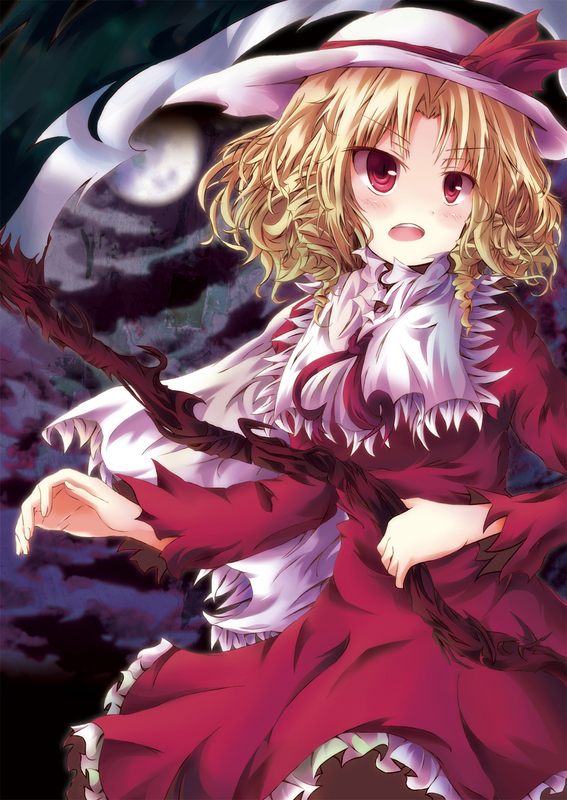 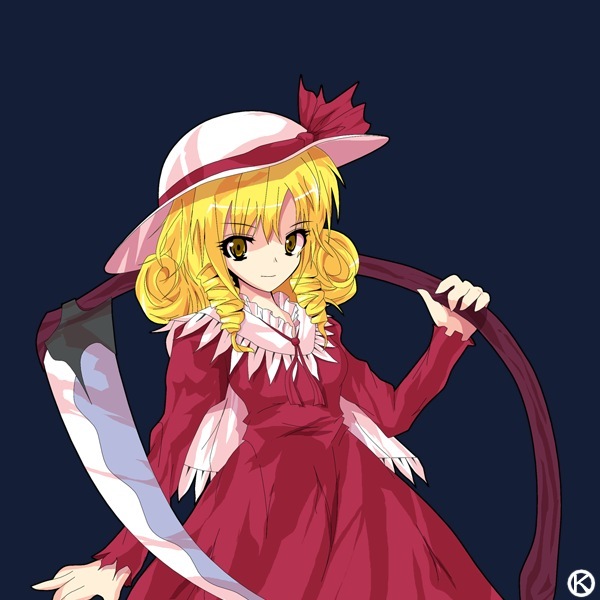 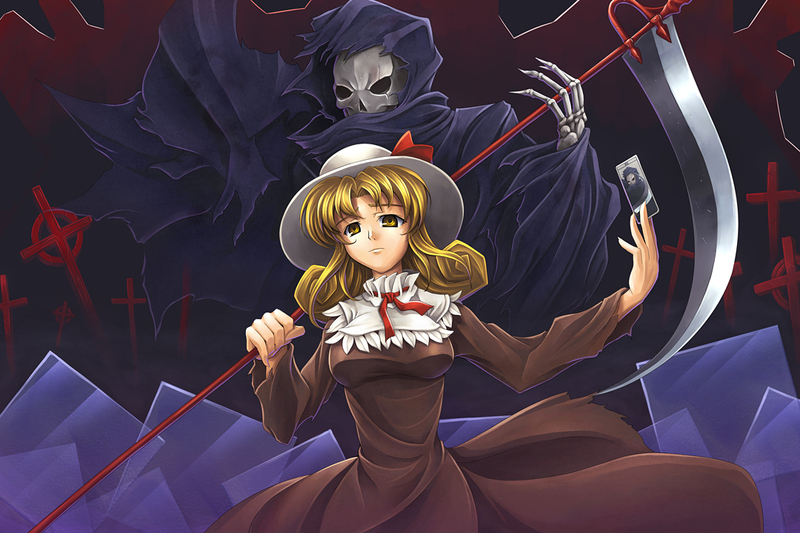 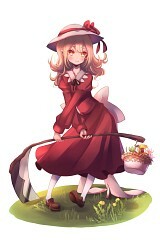 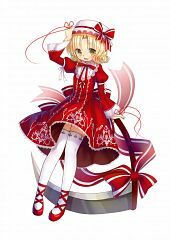 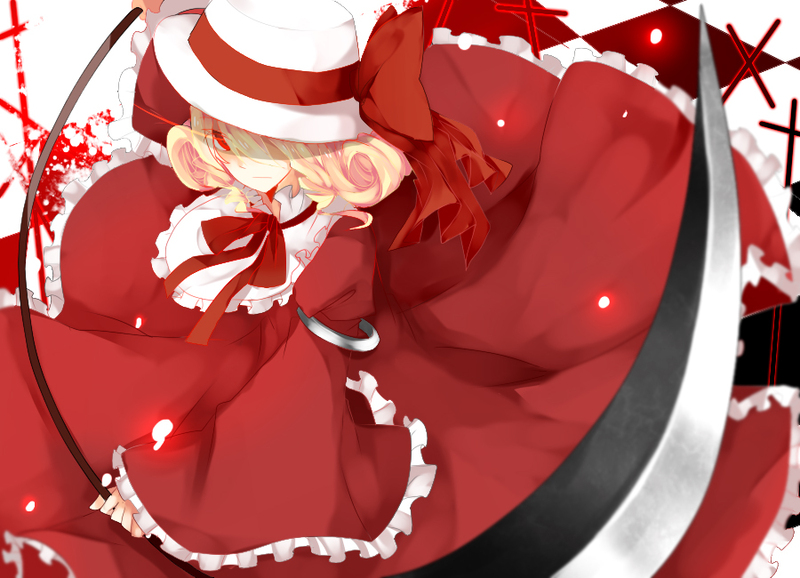 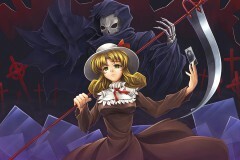 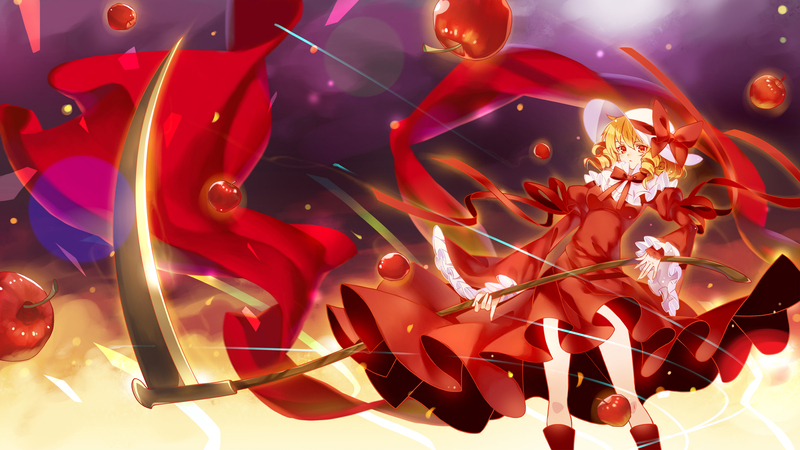 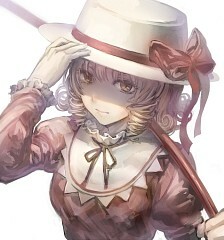 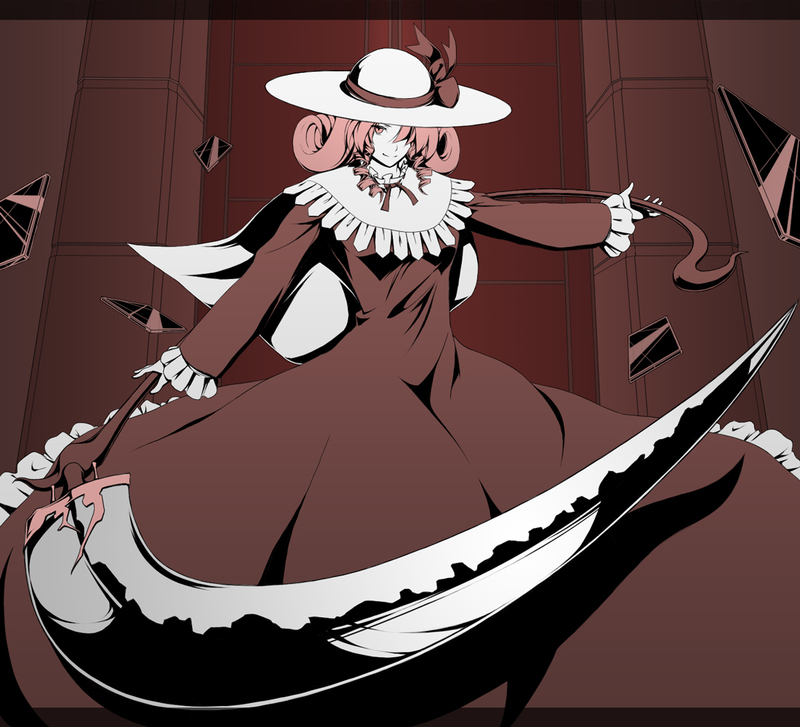 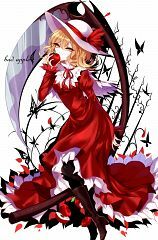 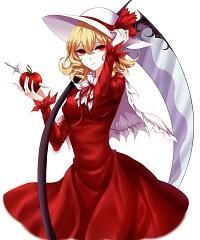 Wears a dark red and pink dress and carries a scythe. 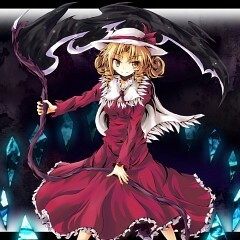 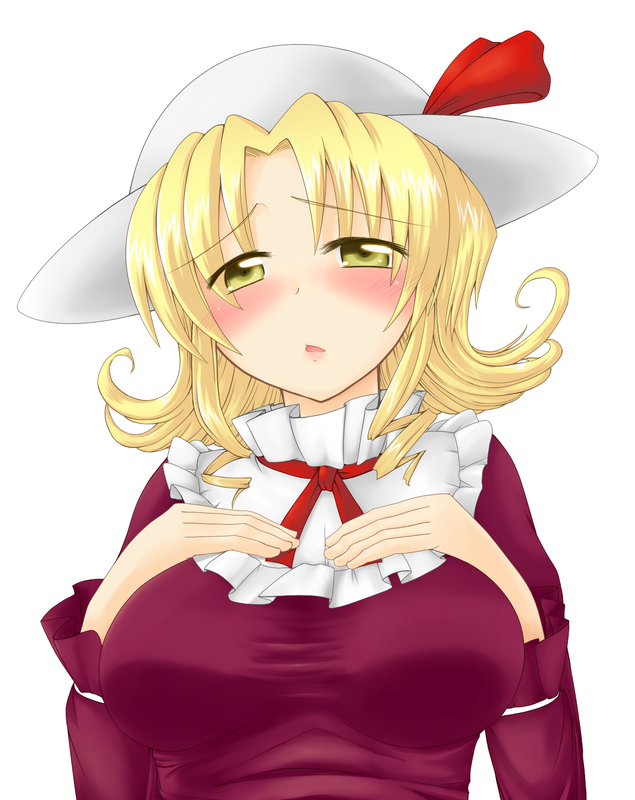 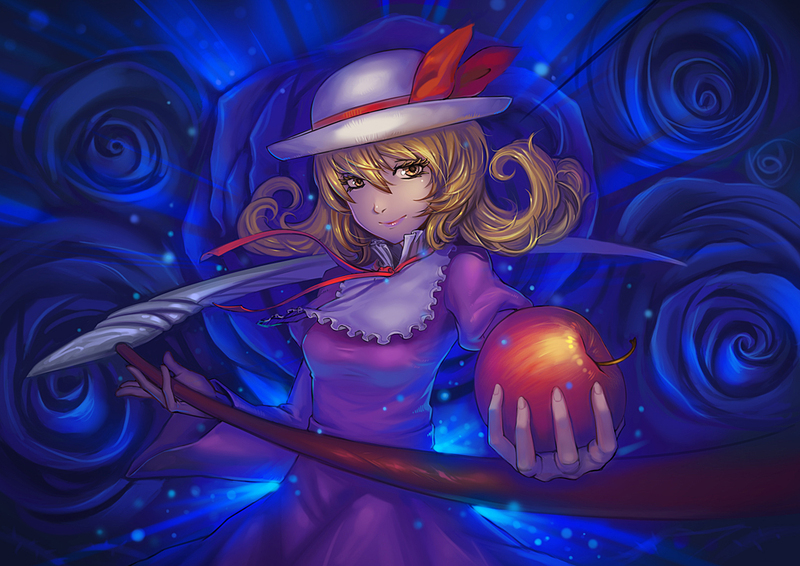 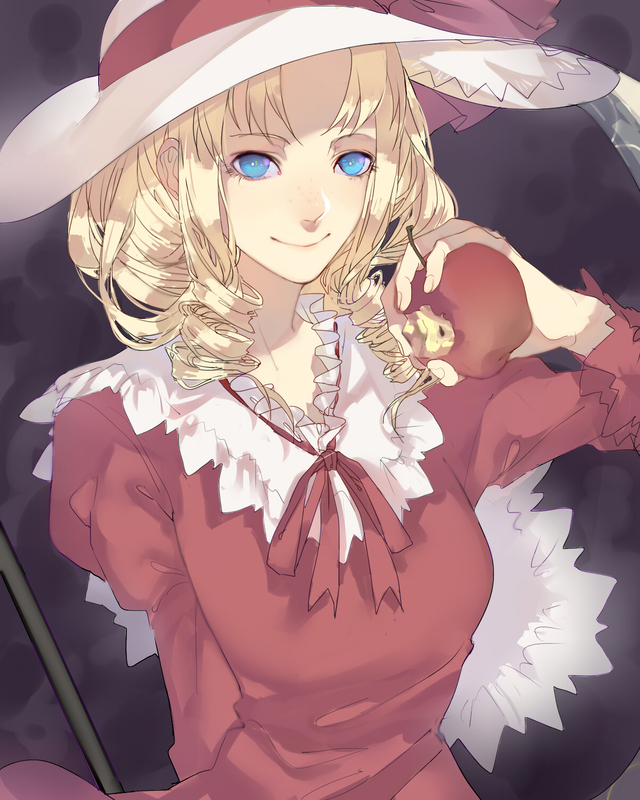 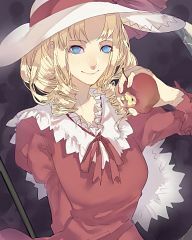 Elly is the gatekeeper of Yuuka Kazami's mansion, which is a border between the dream world and the real world. 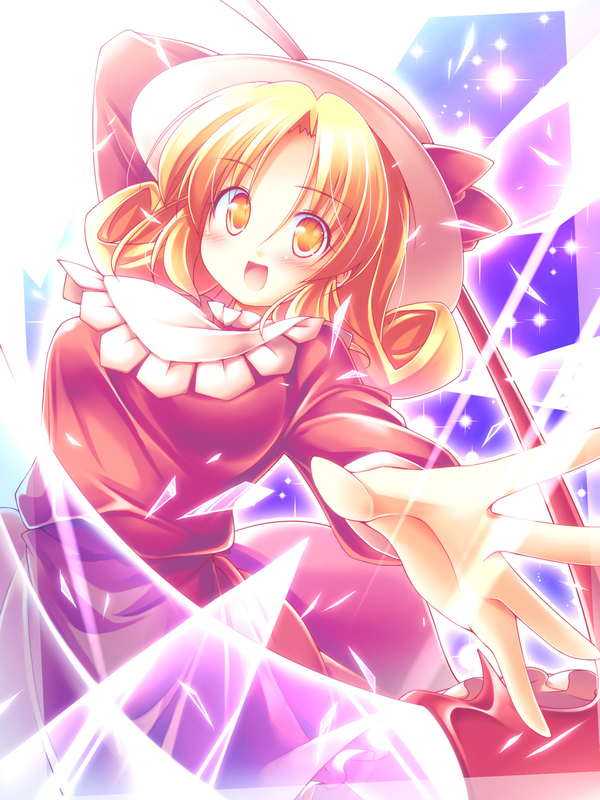 It's so rare that people come there that she is rather surprised when both Reimu Hakurei and Marisa Kirisame show up one after another, and fails miserably to stop both of them from entering. She blames it on the long time it has been since she last fought. 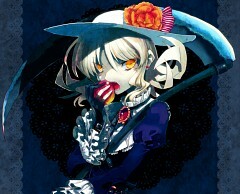 Her notable quote is this: "I couldn't help it! I couldn't help it!" 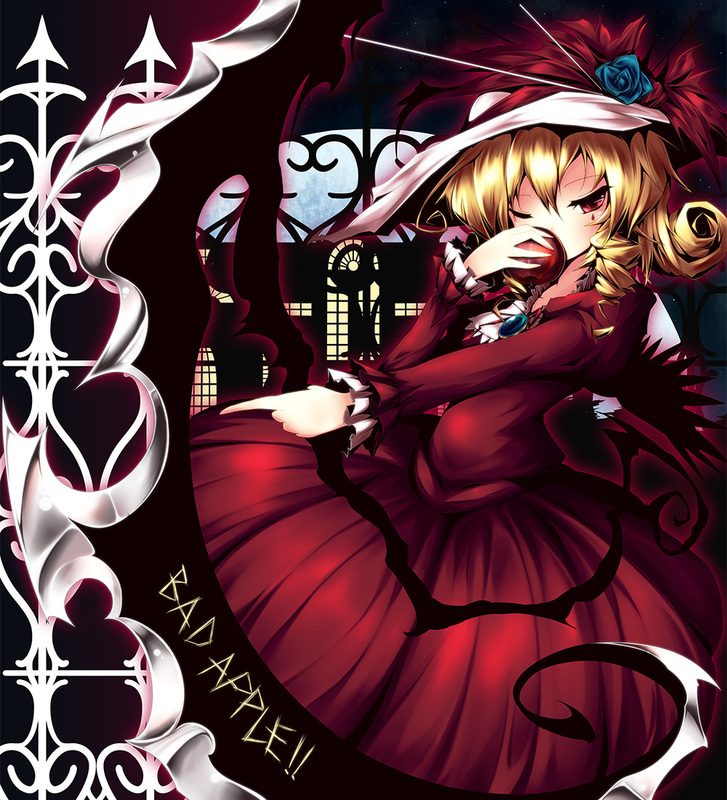 Best remembered for her stage theme, Bad Apple! !